Numbered among Canada's leading church musicians, concert organists and choral accompanists, Chris is a unique musician and thinker whose career routinely takes him across musical and denominational lines few of his colleagues cross, and always into new and stimulating opportunities for both music and ministry. Following twelve years' service to St. James' Cathedral, Toronto he resigned as Director of Music in 2003, and has ever since accepted shorter term commitments to churches large and small. He is honoured to be serving the congregation of Rosedale Presbyterian Church, with its famous organ and fine choir. Chris has served as Director of Canada's Summer Institute of Church Music (Whitby, Ontario) for twelve of its 48 years, and more recently founded and leads popular Hamilton-area Celtic church-and-pub band Chroi. A passionate advocate for the organ, sacred music and his country's cultural life, Chris is perhaps best known for a musicianship that crosses classical and popular styles and eras; for his imaginative, informed and approachable presentation of both the familiar and the obscure, and for his love of history, places, people, and all that is unusual and inspirational in music. 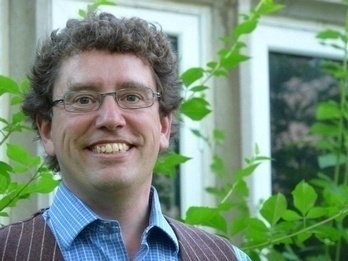 A native of Kingston, Ontario, Chris lives in Georgetown 45 km north west of Toronto where he, his wife Marcia, and their three children Nate, Simon and Charlotte belong to the Christian Reformed Church.